Take orders by phone and deliver 24 hour e-commerce customer service with live answering services from Absent Answer. Make ordering from your business a painless process by utilizing 24 hour order entry answering services from Absent Answer. Our call center agents take calls in the name of your store and assist customers with the ordering process in real-time over the phone. Some customers want to speak to a live person and place their orders by phone. Others encounter technical challenges that require an operator to resolve. Either way, if you’re selling a product, it’s important that you have a 24 hour order support call center available to ensure you never miss out on valuable orders. In addition to providing a trained agent to help your customers through the ordering process, Absent Answer delivers exceptional customer service experiences, showing customers that you care about your business and helping nurture the valuable relationships that are essential to your success. From answering routine questions to patiently addressing technical support challenges encountered during the ordering process, our agents are there to help your business put its best foot forward and make a positive impression on each and every call. Our order taking answering service helps free up your staff to focus on operations, not manning the phones. And because you only pay for the time you need, using Absent Answer as your order entry call center enables you to provide a telephone ordering option without drastically increasing your costs. There’s no payroll or administrative overhead to worry about. Simply establish your account, outline instructions for placing orders in your system, and forward your phone line when you’re ready for us to start answering. It’s that simple. By establishing a third party order support call center, you ensure that customers always have a point of contact, even when your office is unavailable. You never have to worry about an important call getting sent to voicemail. With Absent Answer, every call will be fielded live and handled per the customer’s needs. Let’s explore how our order entry services can help improve your business. Some customers don’t want to order online. Others may have questions and wish to speak with someone prior to moving forward. Others may encounter technical issues that make your website difficult to navigate. Our order entry services give your customers a choice by providing live operators who are available to provide assistance around the clock. If your business grows rapidly, it can be hard to keep up. Costs can increase swiftly and operations can begin experiencing delays and other services issues that may impact customers. Our order entry call center can help you instantly increase customer service call taking capacity, giving you a turnkey order processing department that can take as many calls as you require. Whether you’re already experiencing an influx of calls or are on the verge of a major advertising campaign that you expect to drive a wave of new customers, our team can help you implement a call taking solution that meets your demands. Every call made to your customer service hotline is important, even those that result in routine messages and don’t result in an order. It’s important that every call made to your business is handled by trained agents who give callers the attention and care they deserve. From the tone of the operator’s voice to their level of understanding and ability to efficiently handle the call, every step presents an opportunity to either improve the customer experience or introduce friction and costly miscommunication. We recognize the importance of these calls and train every agent on customer service standards to ensure every call we take is handled professionally. Outsourcing your telephone order taking needs to Absent Answer will not only improve the quality of your service, but reduce your costs as well. By relying upon our technology platform and staff, you can avoid the costs associated with maintaining your own order processing call center. There’s no technology to learn, equipment to maintain, or staff to manage. We handle the details and leave you to run your business. Our call center agents are highly trained customer service representatives who manage your order entry processes at a fraction of regular staffing costs. Having Absent Answer handle your order entry needs is easier than you think. It’s as simple as establishing your account instructions, training our team, and then forwarding your phone lines whenever you want our agents to answer and assist customers on your behalf. You can turn your calls over to Absent Answer at the same time every evening when your office closes for the day, during holidays when the office is closed, during busy periods, or on demand. We can even handle your order entry calls around-the-clock. We’re there to answer whenever your business needs us. Here’s how our order entry answering service works. A caller dials your regular office phone number. This could be a customer trying place an order, someone having difficulty with your website, an existing customer with a question about their account, or any other type of call that your customer service department may receive. Instead of ringing your office line and going to voicemail, burdening your staff with routine requests, or sitting on hold while your office is busy handling other tasks, all calls made to your office are routed directly to our friendly call center agents, who immediately recognize that the call is for your business and greets the caller accordingly. There’s no one-size-fits-all approach for order entry, so our team is armed with your precise instructions and handle every call per your expectations. We can perform initial call screening and place orders on the customer’s behalf using your ordering platform, take a message for the office, or complete routine administrative tasks directly over the phone, such as resetting passwords or providing shipping information. Our order taking call center solutions are completely customizable. We take calls as an extension of your business. We can handle customer registration, online order entry, upselling and cross selling, message taking, routine troubleshooting, and more. Telephone Order Taking. Give customers a choice by providing a 24 hour hotline they can use to place orders over the phone. Our agents answer live and use your existing order platform to answer routine questions and complete the order entry process. 24 Hour Order Support. Do you ever receive calls after business hours? 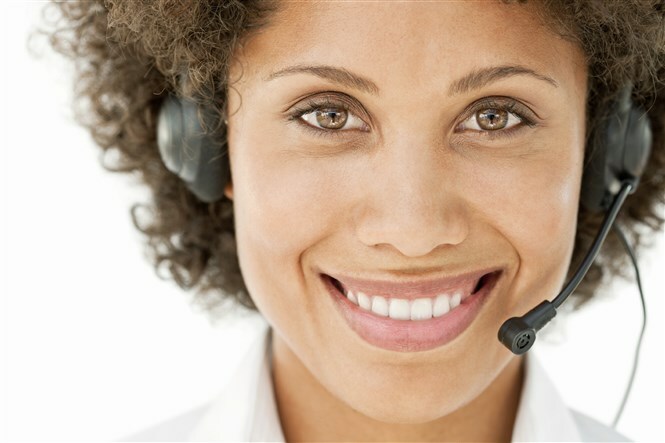 Our 24 hour call center never closes and can be available to your customers at any time. Why restrict business activity to certain hours when your order processing center can operate 24/7/365? E-commerce Technical Support. Sometimes customers using your website just need a helping hand. Our order entry call center can double as your customer service department, fielding routine questions and helping customers troubleshoot issues they are experiencing with your system. E-commerce Customer Service. In today’s retail and e-commerce industry, customer service standards continue to rise while margins shrink. The competition for market share gets tougher every year. A key competitive advantage is superior customer relations and customer service. It’s integral to setting you apart in a crowded market – whether it’s winning new customers or retaining existing ones. With Absent Answer as your e-commerce customer service outsourcing partner, you can deliver this exceptional service without incurring the costs associated with staffing your own support center. Order Entry. We can place orders for customers over the phone using your platform and collecting the necessary information from them, or by walking them through the process step by step. Upselling and Cross Selling. We can help increase revenue by training our agents to upsell and cross-sell in specific circumstances. This helps you maximize every customer interaction. Exchange and Return Management. Our agents can help process returns and exchanges by following a defined process, guiding customers to the appropriate online tools, or performing data entry on their behalf. Retail Help Desk Solutions. Some issues may require troubleshooting or escalation to your IT staff. Our retail help desk solutions can help customers resolve routine challenges, such as login issues, while opening tickets for more involved issues such as customers who are unable to access the website or are experiencing a fatal error with your application. Our agents can operate as your tier 1 help desk department and ensure every customer service situation is promptly addressed. Quality customer service. Absent Answer’s order entry service provides highly trained agents who deliver high quality customer service on behalf. Web-based order entry. If you have an online e-commerce website or ordering platform, our agents can access it to facilitate order taking on your behalf. Customized call scripting and routing. Our sophisticated software allows us to become an extension of your staff. We are able to handle sales inquiries, provide information and process orders. We can ensure the different types of calls you receive are each handled to perfection. At Absent Answer, we’ve been providing order entry solutions since 1985. Each and every call, message, support issue and order request gets handled accurately – 100% of the time. That kind of reliability allows you to focus on managing your business while we worry about handling your important calls and serving as your 24/7 order support department. The personal touch that your customers feel is the same personal attention you can expect every day. Why choose Absent Answer as your order taking answering service? Absent Answer works closely with you to develop service benchmarks and create a consistent training program to ensure that all order entry agents are fully trained to provide your customers, prospects, office staff, and outside vendors and contractors with attentive service and exceptional attention to detail. Can your call center place orders on my website? Yes! We can use your e-commerce website or ordering platform to facilitate interactions with customers, including placing new orders, resetting account information, verifying shipping, or initiating returns or exchanges. How do you answer calls for my store? We can answer your calls in the name of your brand in order to provide customers with a seamless experience. Our scripting is 100% customizable. Yes, your callers can call the same published business number when we are taking calls. The only difference is that you forward that line to us when you’re unavailable, and the calls reach our answering service personnel instead. We can also be setup to handle your overflow order support calls when your regular office lines are busy. Ready to establish an order entry department to help grow your business? We are ready to help. Contact our account team today to discuss your order support needs and learn more about our affordable pricing plans.